Would watch? Its 2018 and in the world we live in Chuck Liddell fighting Jon Jones doesn’t even make the top five craziest ideas we heard this morning. The scary part? 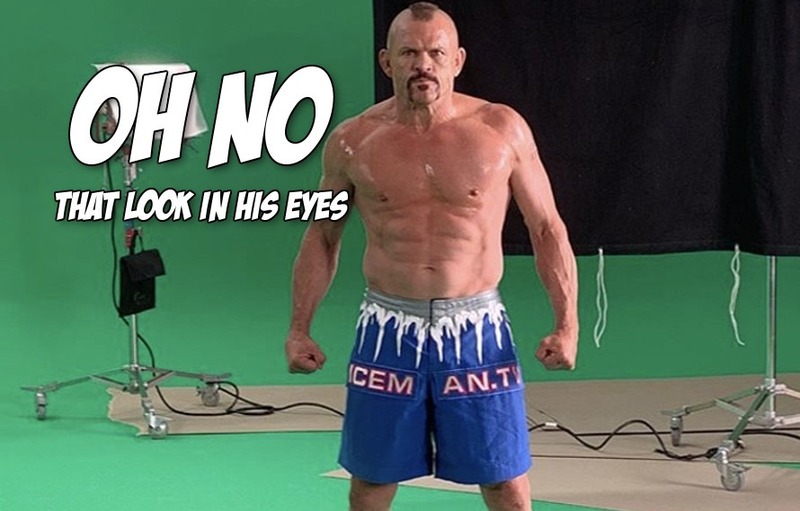 We still think Chuck Liddell is 100% serious about it. Doesn’t even blink when speaking on it. Chuck has got that look in his eyes and we are scared. From the makers of Francis Ngannou fighting Randy Couture, BJ Penn squaring up with Khabib and Yoel Romero being locked in a cage with Kazushi Sakuraba, we present to you The Iceman versus Bones Jones. Chuck wants it. Jon Jones has no heart. The UFC is desperate as hell for main events in 2019. This tragic formula writes itself. Is the only thing stopping the ultimate MMA freak-show of all time Tito “freaking” Ortiz? The Fight Gods lone obstacle put in front of a Chuck vs. Jon cage fight is the striking ability of Tito Ortiz? In a new interview, Chuck Liddell waxes poetic about a potential fight with Jon Jones. This is the most romantic Chuck interview we have ever heard. Don’t sell us on this fight Chuck. Just don’t do it. Nobody send this footage to Jones because we already know how big of a heel he is. Bones would pull out his Lyoto finisher on Chuck, then DX chop over his lifeless body. Somebody stop Chuck but at the same time, don’t make us be Tito Ortiz fans in 2018. But what if Chuck cracks Bones’ chin? Get out of our heads Fight Gods.